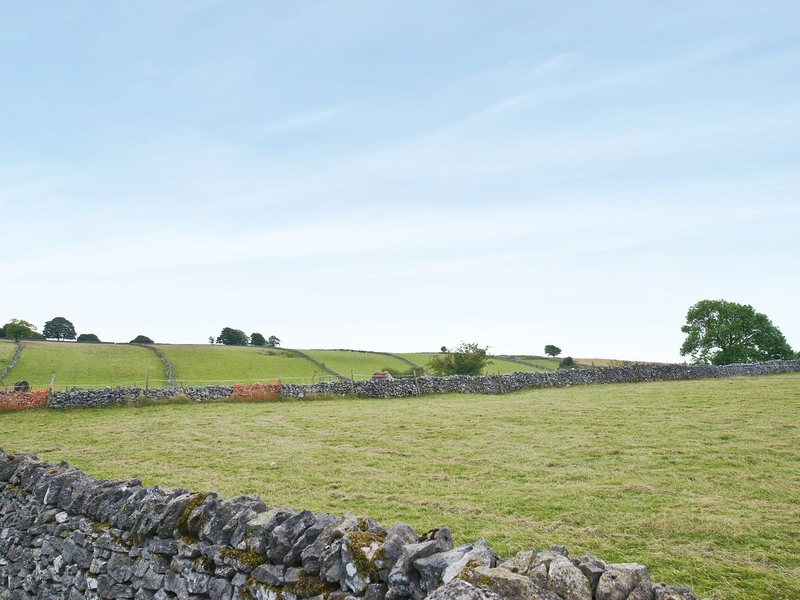 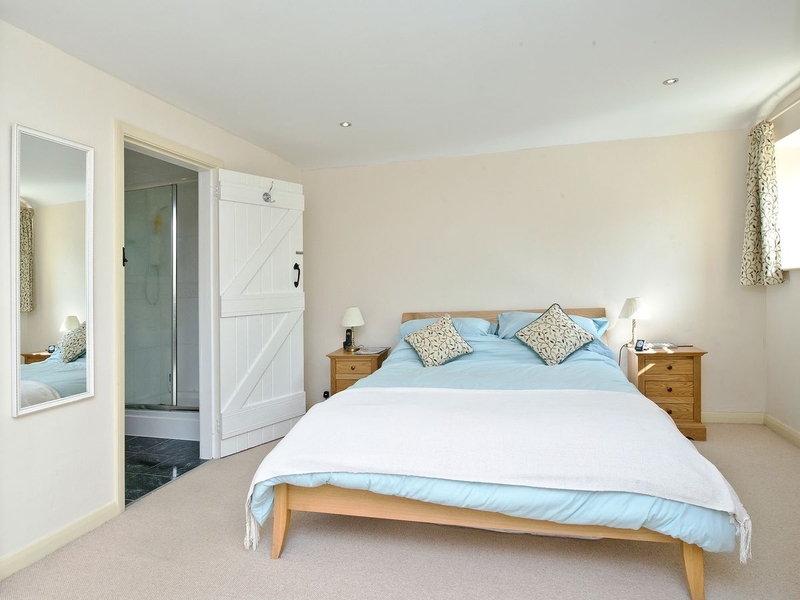 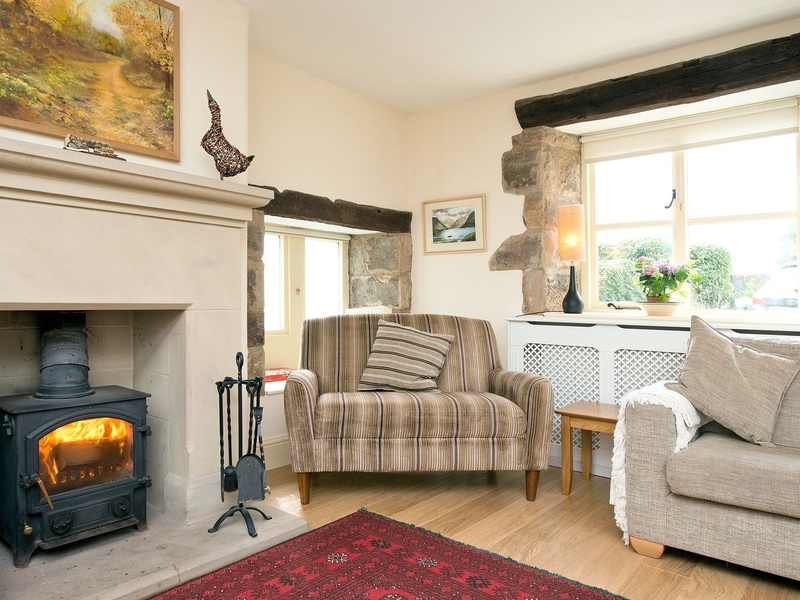 This luxurious holiday cottage is spacious, yet intimate, and commands beautiful views of the countryside surrounding the peaceful village of Sheldon, only 3 miles from the market town of Bakewell. 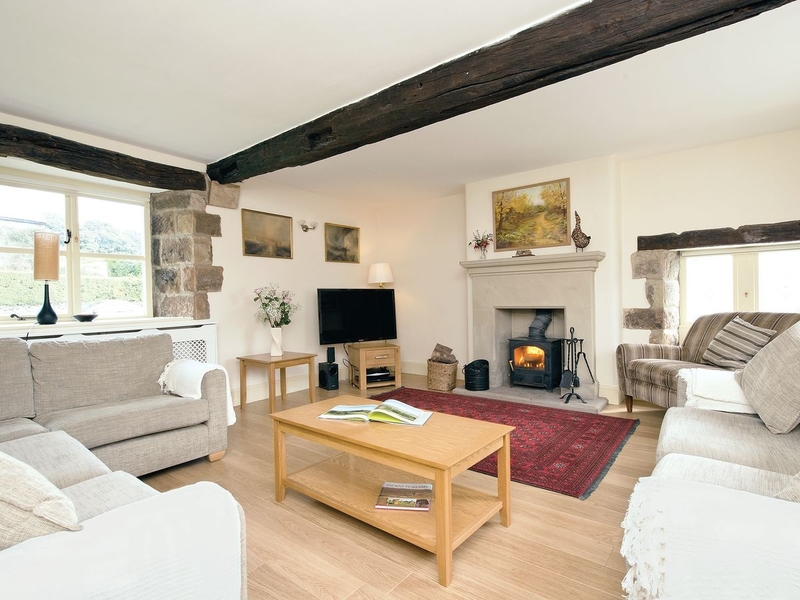 The oldest part of the cottage dates from 1800 and has been converted skilfully into a living room with tasteful furnishings, original beams, exposed stone walls and a large fireplace with a multi-fuel burner. 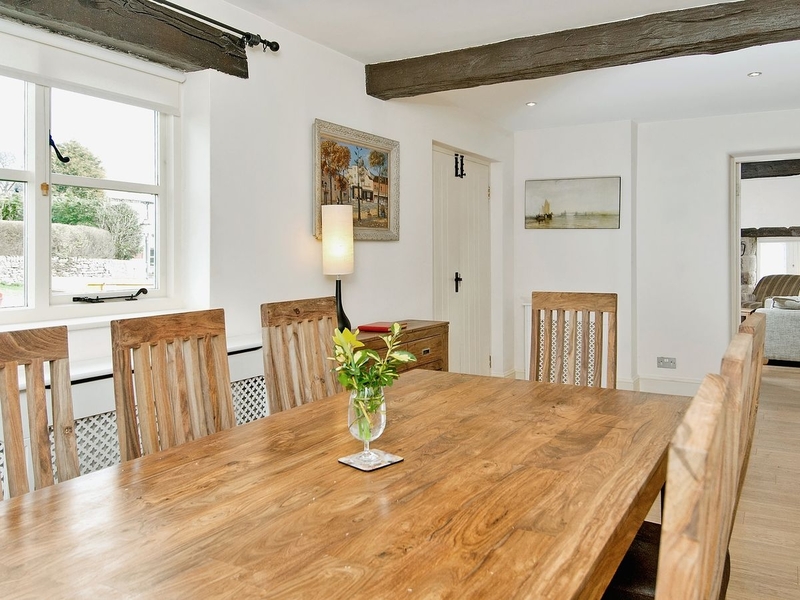 There is a large dining area adjacent to the living room and a kitchen which leads into a south-facing conservatory, ideal for breakfast and relaxing. 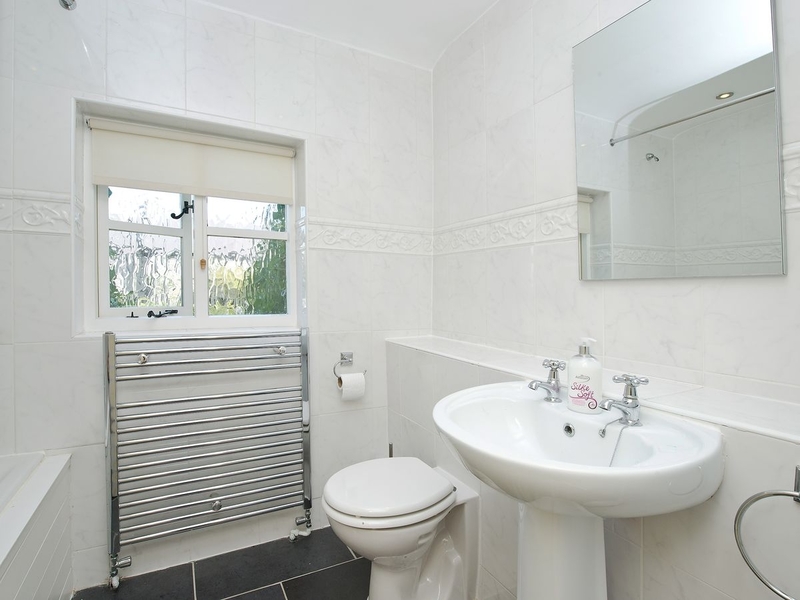 There is a downstairs toilet and utility area. 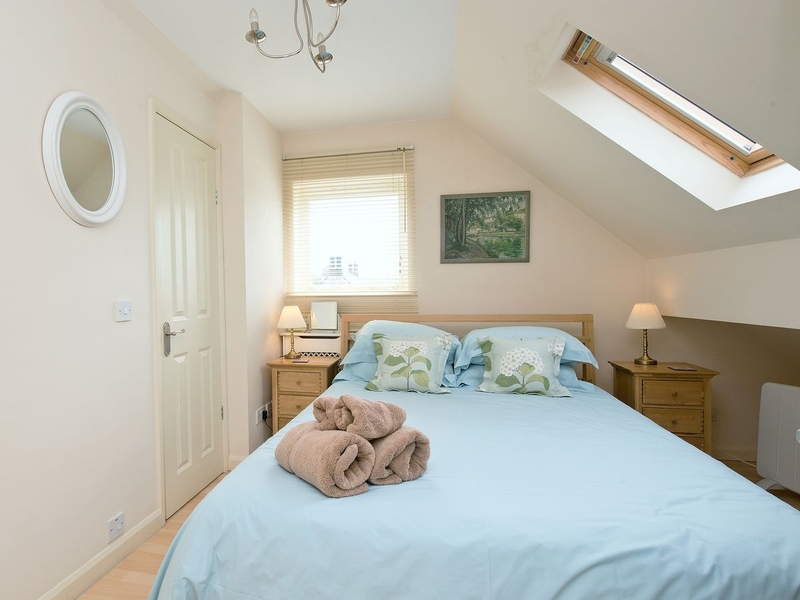 Upstairs has three large double bedrooms (two with en-suite showers) and a bathroom. 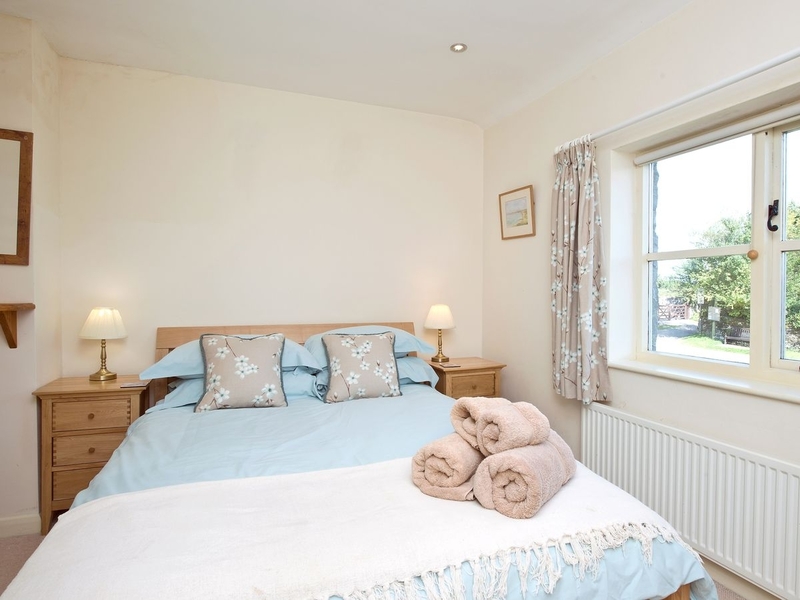 One of the bedrooms has a 6ft zip and link bed which can be used as a double bed or two single beds. 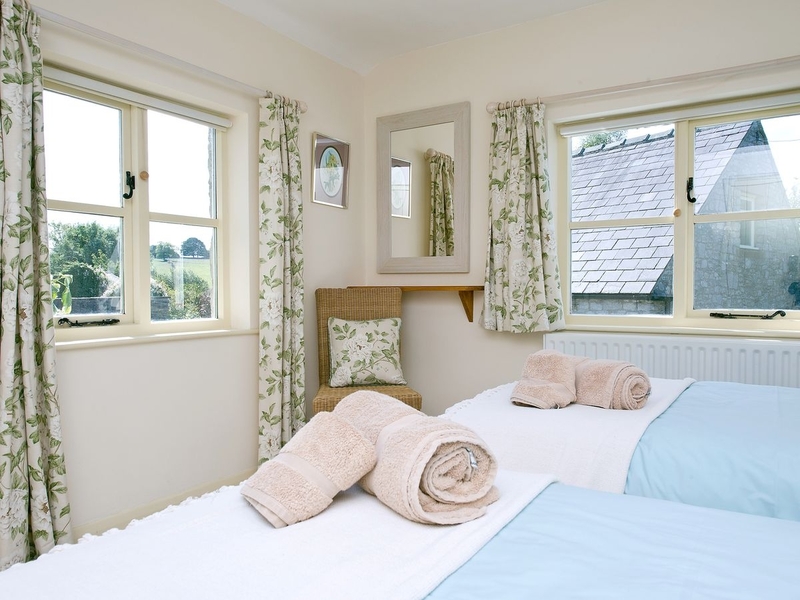 The cottage has Sky TV and wi-fi internet access. 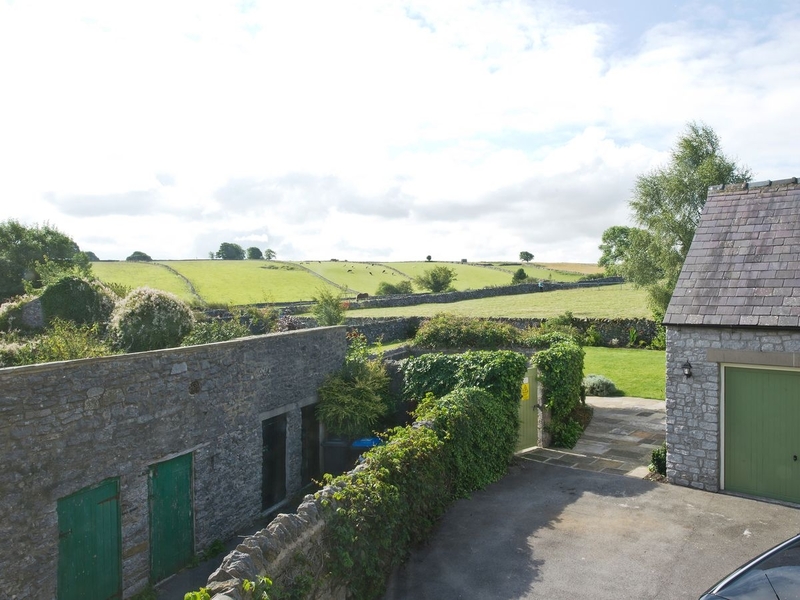 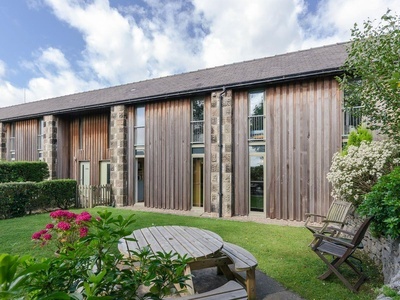 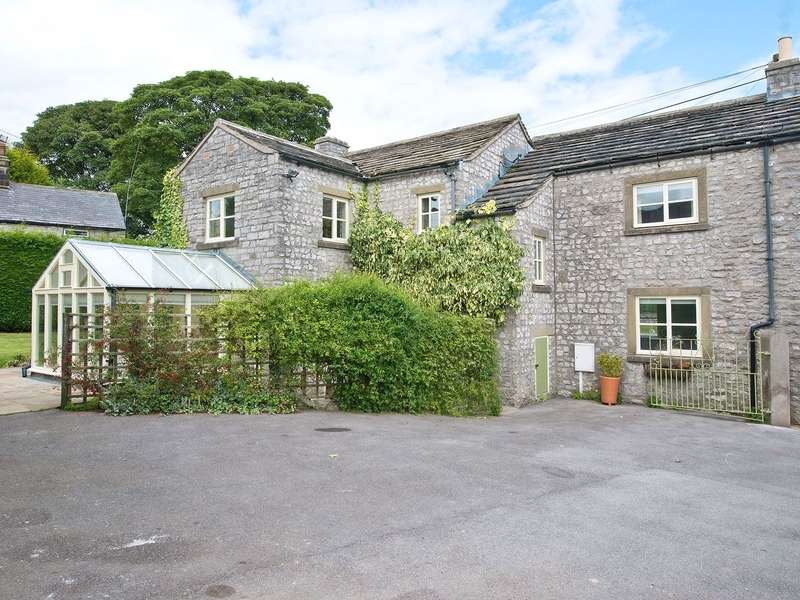 Only a few steps from the main cottage is a games room and studio apartment. 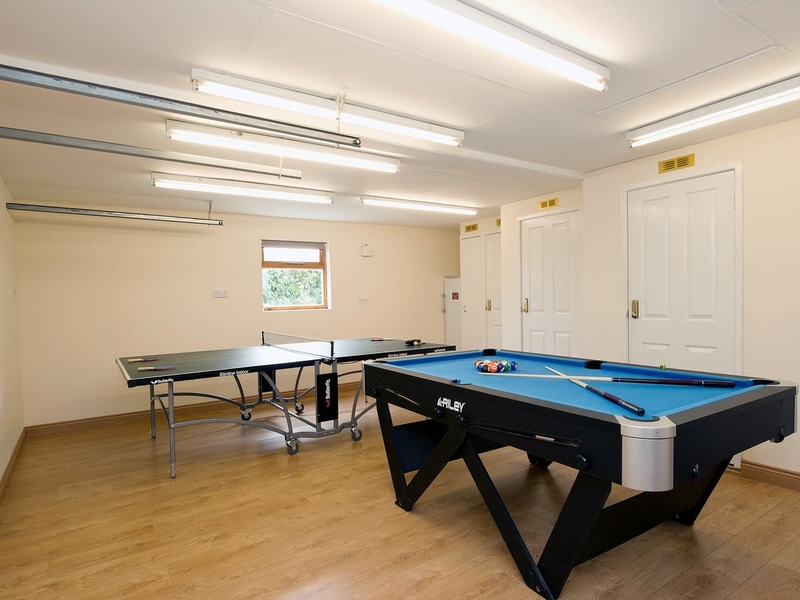 The large, heated games room has a pool table and table tennis table as well as a drying room for wet clothes and boots. 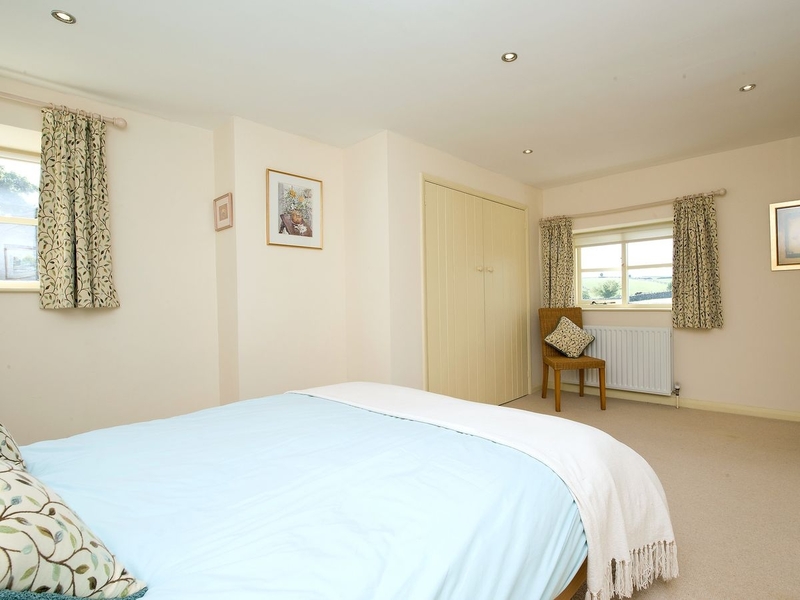 Above the games room is the studio with sitting room and a double bedroom with en-suite. 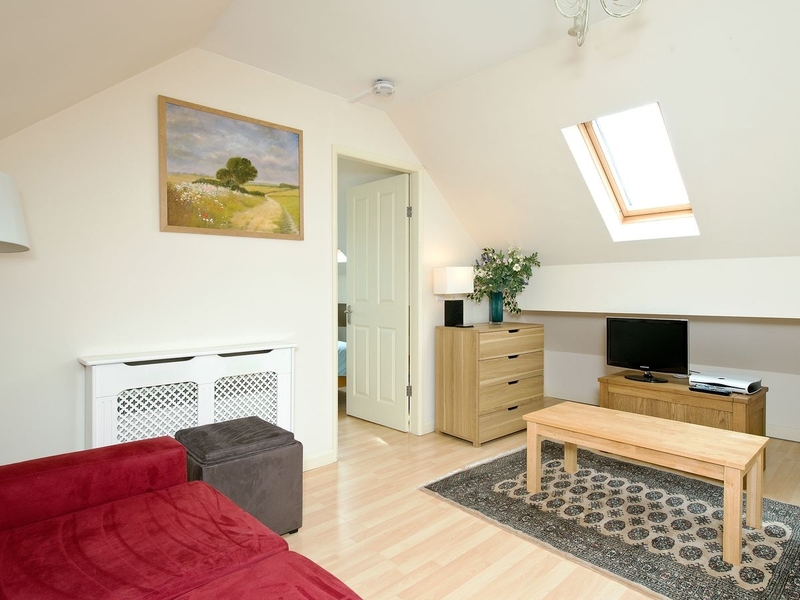 The sitting room has a sofa bed (for alternative sleeping only) and a TV. 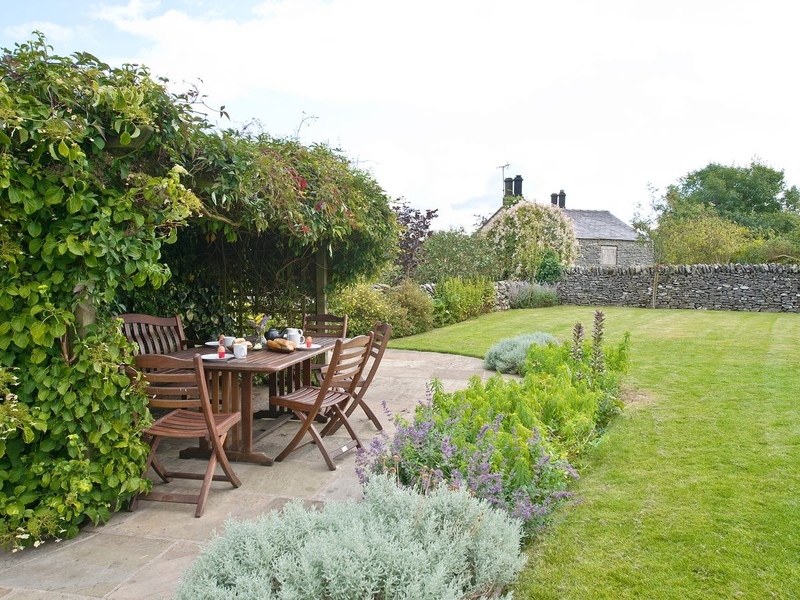 The cottage stands in an enclosed garden which has driveway parking for four vehicles, flower beds and two lawns. 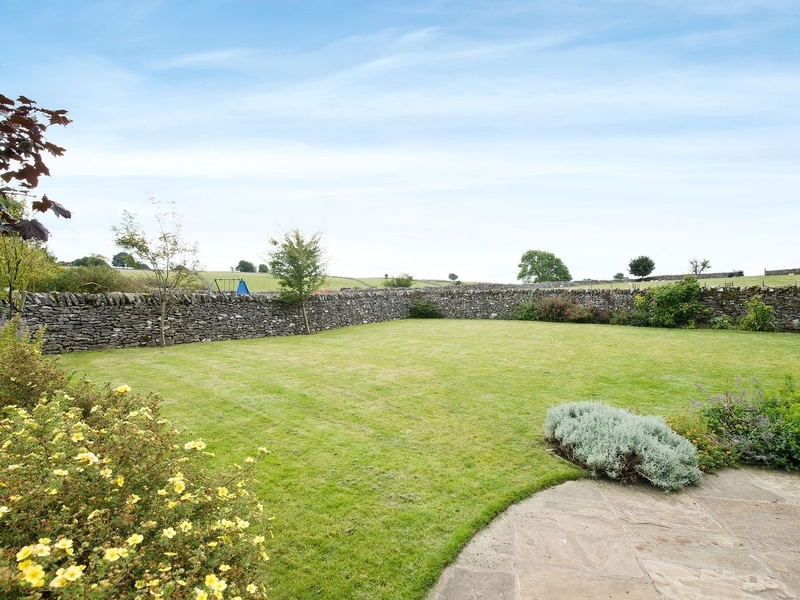 The larger lawn overlooks the nearby fields and hills, and is ideal for ball games. 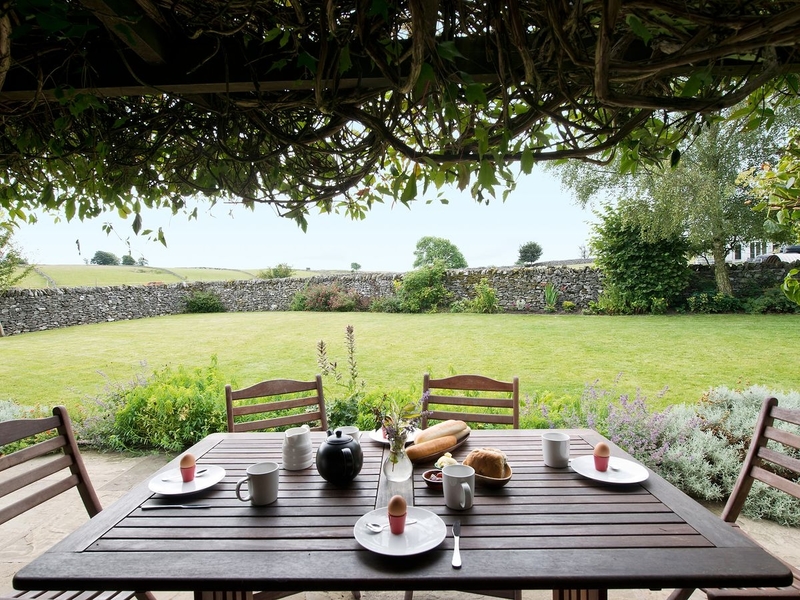 It adjoins a stone-flagged patio area with a built-in barbecue and outside table and chairs. 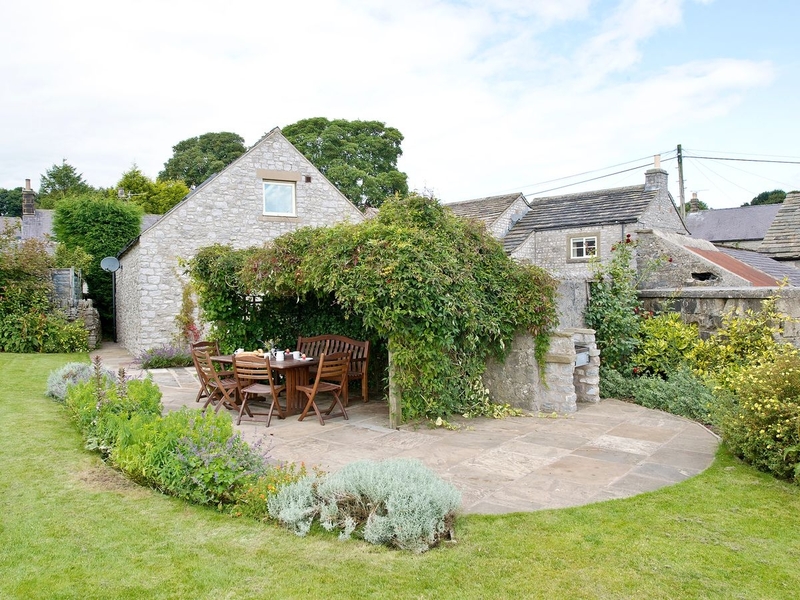 Sheldon has a pub close to the cottage which is friendly and provides good food. 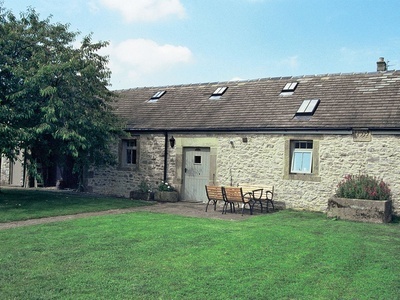 The village is within easy reach of Bakewell and Ashford-on-the-Water, and is an excellent starting point for walking, exploring the countryside and visiting Chatsworth, Haddon Hall, The Heights of Abraham in Matlock Bath, the caves around Castleton and many other attractions in the Peak District. 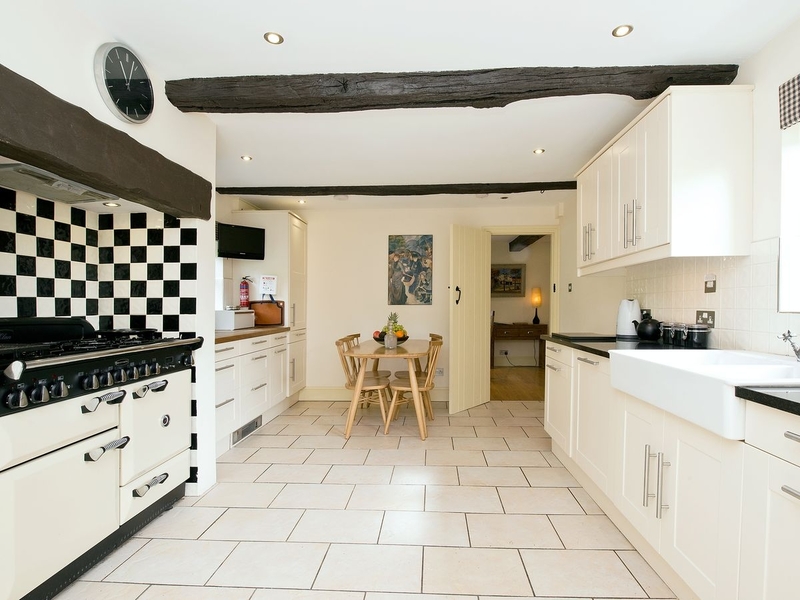 Shop 1 mile, pub 100 yards. 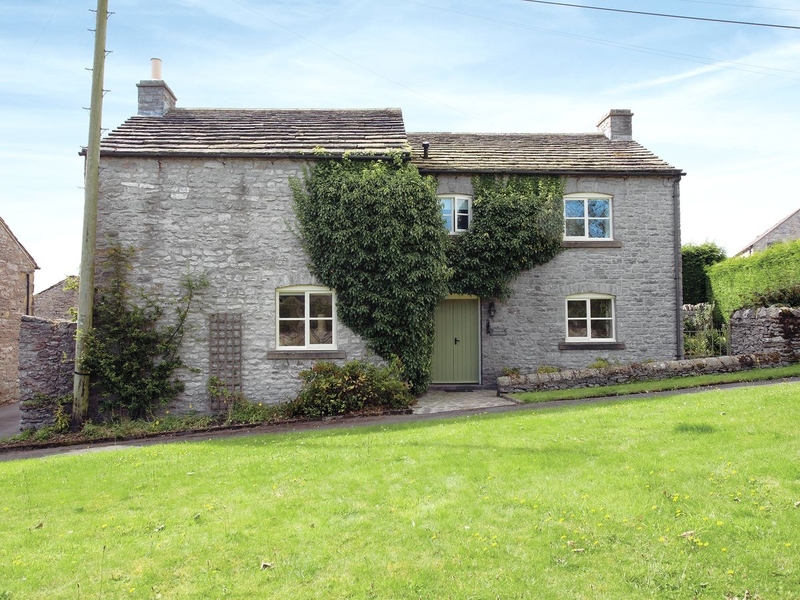 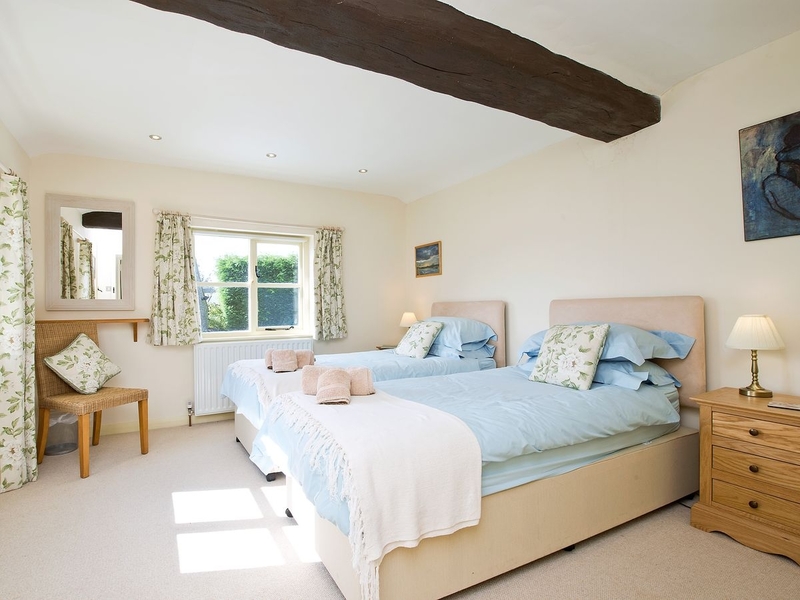 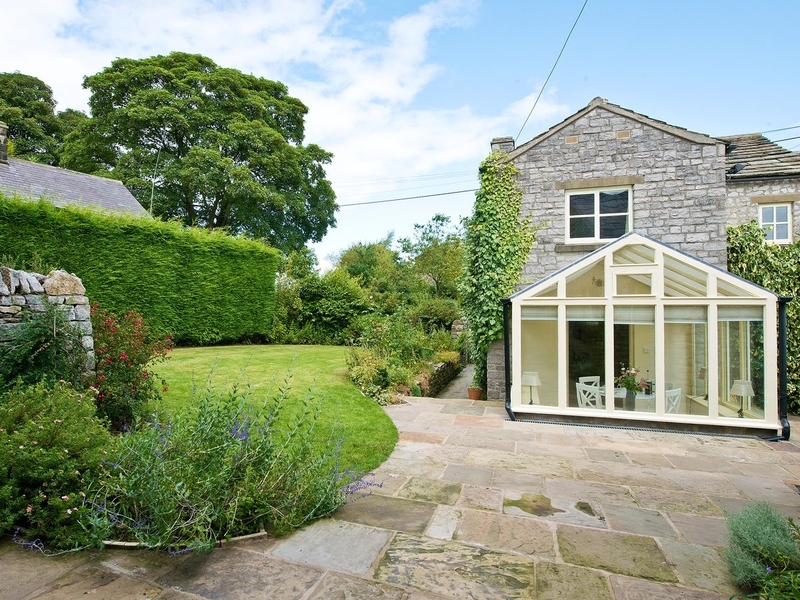 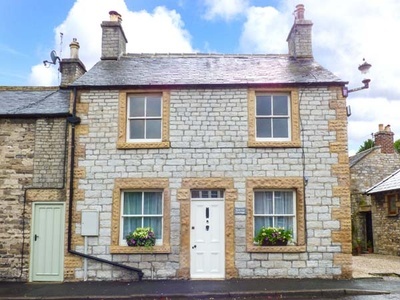 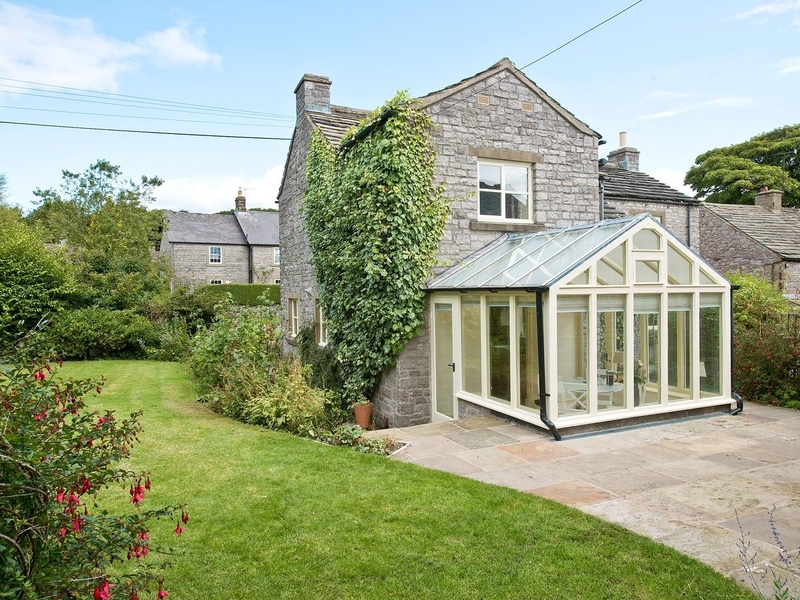 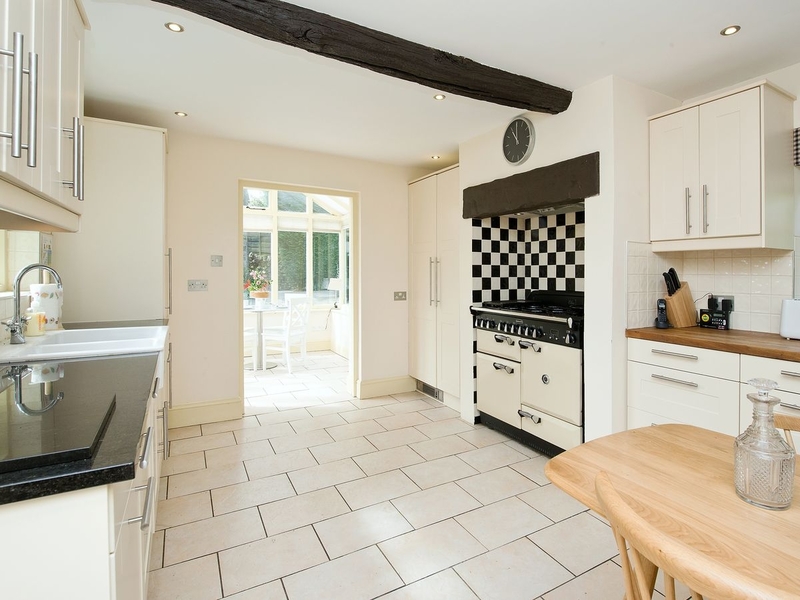 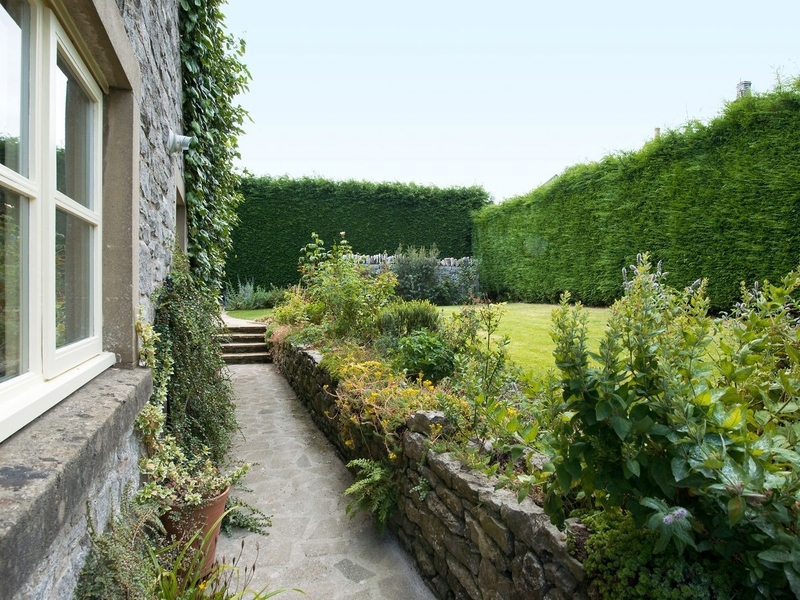 This end-terrace cottage is situated in the village of Ashford-in-the-Water and sleeps six people in three bedrooms.